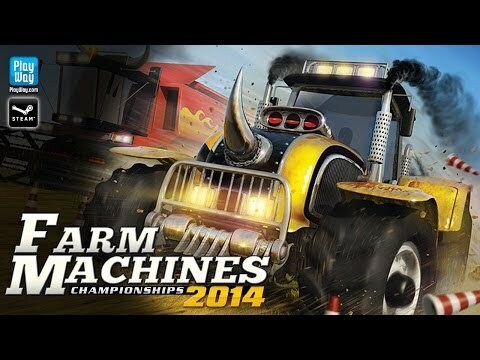 Farm Machines Championships 2014 - Buy and download the game here! Climb aboard Farm Machines Championships 2014 and sit in the driver’s seat behind the wheel of monstrous tractors and harvesters. There are over 40 contests and events to test your skills. New matches include forage wagons racing and grueling grain transportation battles. Keep your equipment in top racing condition or you will suffer at the track. Tune up your farm machines by changing the gearbox, engine or replacing the brakes. Modify your tractor’s look and feel with new paint, pipes, decals and awesome accessories that are sure to make you the top contender.